This written exercise should take no longer than 60 minutes to complete. I like to use my calendar as a quick refresher as to the first 6 months of the year as I write down my highlights of the first half. Who did you meet? What did you accomplish? Where did you travel to? Did you have any setbacks? Goals that you focused on the first 6 months? In the second step (Present), I like to address how I am feeling right now, going into the second half of the year. Am I eager, excited, frustrated, proud, focused? This is an opportunity to be brutally honest with yourself on your mindset and approach going into the second half. This might be a couple paragraphs in your journal. In the third and final step (recommitment to goals), I like to look over my year-long goals and give myself an assessment with the idea of renewing some actions and behaviors that maybe I got away from the first 6-months of the year. I am not a fan of deleting goals that I am behind on in the year; rather, recommitment certain specific actions to these goals so get back on track. 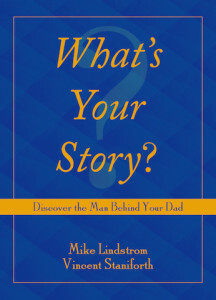 Please enter your information to receive Mike Lindstrom’s Speaker Sheet via email. My New Book is Almost Out!